How Can My Small Business Get Working Capital Fast Without a Bank Loan? Those who own their own businesses are well aware of the importance of having enough working capital. Besides your overhead, you will always have unanticipated expenses, no matter how well you plan. Suppose a necessary piece of equipment breaks and you need somebody to fix it? If you have a run on inventory and you have to order more, you will need some money to replace it. When your air conditioner or boiler breaks, you cannot wait too long before you have to call someone to fix it. Business owners may find their fixed expenses manageable; however, they often struggle with unexpected, yet unavoidable, expenditures. It is more difficult for you to obtain funding if your credit has exceeded its limit or if you have no credit history at all. No matter how challenging it may be to get more cash, you still need it in order to keep your business operating. Those in business for themselves need to look outside of the box for new ideas, and finding working capital is no exception. Sometimes, you need to look beyond bank loans and credit cards to look for other, often less expensive options. Many people look to their banks for funding. However, because credit has tightened considerably, banks will usually only lend to those who have stellar credit. If your business record shows a poor credit history, especially in the recent past, a bank will probably turn you down. Often, the approval process for a traditional lender may takes several weeks, if not longer. Additionally, bank loans require a lot of documentation, and often ask you to put your equipment up for collateral. This may be an issue for you if you already have it up for collateral with another lender, or you do not have enough equipment to go that route. If you manage to get a bank loan, you will be stuck with yet another monthly bill that includes interest. In addition, getting a bank loan does not guarantee that you will receive all the cash you need. You will only get the money the bank thinks you should get. You will also have a negative item on your balance sheet that you will carry until you pay the loan. Business owners may not realize that if they accept debit or credit cards, they can have another outlet for funding. If you have open invoices, but you need the money now, you can tap into them as a valuable resource as far as obtaining working capital is concerned. 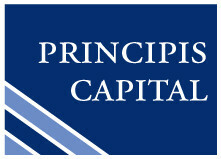 Principis Capital can get you the cash you need now, based upon your credit card sales and anticipated payment schedule. You will not have a loan to pay back, and you will not have negatives on your balance sheet. You will get cash when you need it most, so you can concentrate on running your business, instead of worrying about trying to make your bills.